me: .. hey Akbar, I am writing a blog about Owner Driven Housing, how would you define Owner Driven Housing? Akbar: That the families build, improve or rebuild their own home like they normally would. The only difference is there is a supporting agency, like an NGO or the government. This agency provides technical and financial assistance. 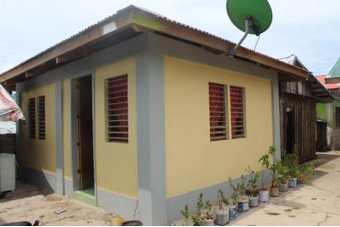 The technical support, often in terms of introducing and ensuring ‘better construction practices’, makes the home stronger and the financial assistance allows for the house to be build more quickly. 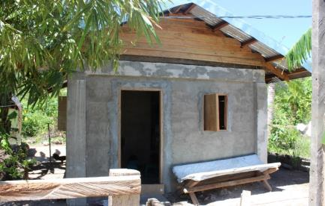 As in the project we were involved with in the Philippines; the family get into a legal agreement with the NGO. (The NGO Cordaid that we worked for). The agreement determines each parties’ roles and responsibilities. For example, the family is responsible for correcting any mistakes made during construction .. as they are the ones that are responsible to supervise the construction. The family have a direct and independent relation with the architects and engineers, with the local authorities or the village committee .. The family could take as much legal advice as they wanted. This was also independently from the NGO, ‘though the NGO did pay the lawyer’s bill! The family then buys the construction materials, engages the builder and, as I said before, supervises the construction.. The NGO’s financial and technical assistance is the same every time, but the results are different! The stark contrast would be a ‘NGO – driven housing project’ where the NGO arranges everything. 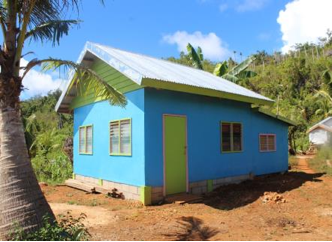 The NGO designs, builds and then hands over a finished house to the family. me: You sound soo excited, what gets you so passionate about this approach? The house is planned from their perspective instead of ours. The community could have a very different idea to us, the outsiders. 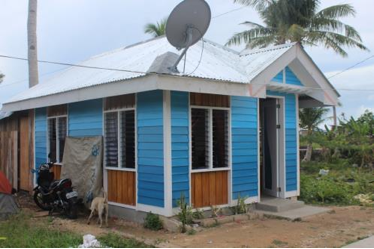 They could think that ‘fly away houses’ (lightweight low cost housing that in part can easily be reassembled) are smart solutions for typhoon prone areas. 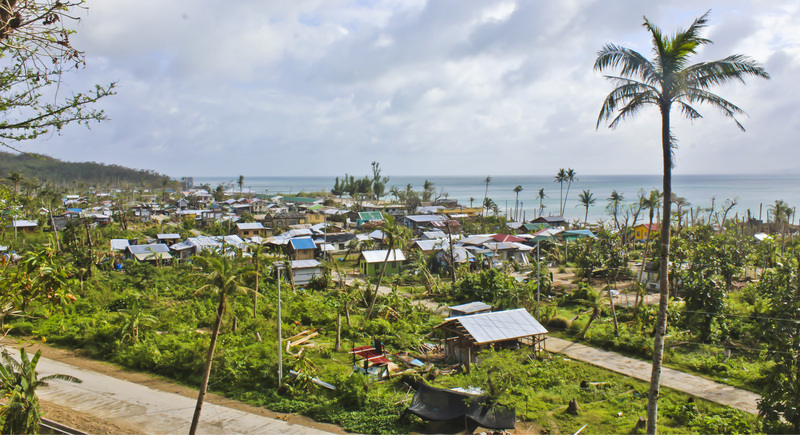 Why invest in something when it will be damaged by more than ten typhoons a year? Also what I like, is that every house is different! Because the family will consider the local values, maybe also the climate, and above all their own family needs. me: yes there is less wastage ..
Akbar: What I also like, is how it builds directly on people’s and the communities’ capacities, both physical and non- physical capacities. me: What do you mean by physical and non- physical capacities? Akbar: By physical capacities, I mean their ability to access to construction materials, the local infrastructure, .. By non – physical capacities I mean organisational skills, construction know how, relations, .. The NGO can step back and doesn’t have to take on such a overassertive position, which is often the case in a post – disaster context ..
me: Yes .. 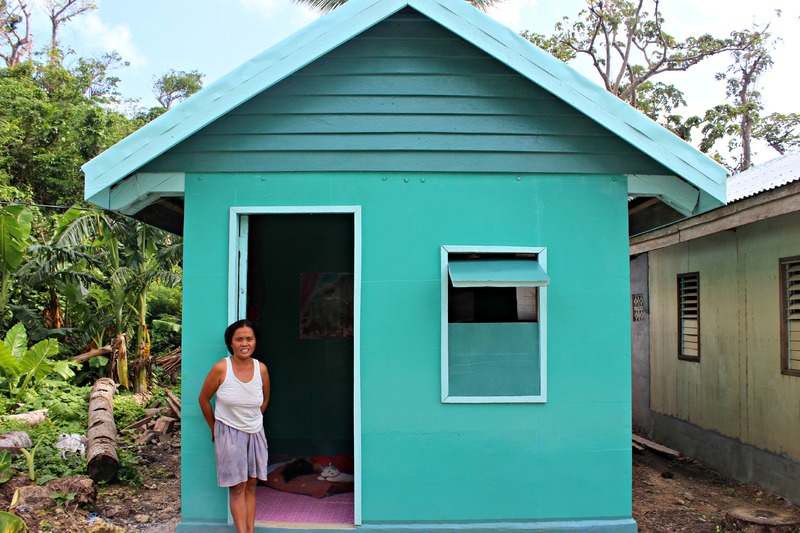 I find that far too often the aid agencies end up doing too much instead of too little ..
What is exciting also is how the post – disaster shelter sector is starting to look at ‘support to auto-recovery’. I imagine, and hope, that as the term ‘support to auto-recovery’ – even though a little paradoxical – gets acceptance by NGOs and the donors, it will make us work differently. ..
What is exciting is that the starting point is that affected families are able to recover and that the phrase ‘support to’ puts the NGO into a supportive auxiliary role ..
With ‘support to auto-recovery’, the local processes take a more central role, not forcing people into a project and by doing so possibly making them act in ways that are possibly not according to their own housing customs and cultures. Or worse still, as you say, not according to their needs ..
Akbar: Yes, and in addition to meeting the basic needs, it is important that the house allows for future improvements and expansions to the house. me: very true .. I think I just got a good blog together! Thanks! Akbar and I have just returned from our assignment with the NGO Cordaid in Guiuan, Philippines. There we were part of a multi-disciplinary team that supported communities adversely affected by the superthyphoon Yolanda (2013). In this blog, we reflect upon the Owner Driven Housing approach. This is the approach that the project took, and we both are very fond of! If you are curious, you can read more about the post – disaster recovery construction here. Akbar is an architect who takes a particular interest in people’s own construction practices and the role these practices can take during a post – disaster (re)construction process.